Our attorneys have considerable experience litigating antitrust class and individual actions. We have litigated cases involving horizontal price-fixing, including the fixing by world banks of global financial benchmarks, group boycotts against lower–pricing competitors, anticompetitive patent pooling, and abuse of monopoly power. In these cases we have represented municipalities and counties, public pension funds, businesses of all sizes, and individuals harmed by anticompetitive practices. In re: Interior Molded Doors Antitrust Litigation, Lead Civil Action No. 3:18-cv-00718-JAG (E.D. Va.). The Firm is interim co-lead counsel for the plaintiffs in this horizontal price-fixing class action against the leading manufacturers of interior molded doors, a popular type of interior residential door. The plaintiffs and proposed class members purchased interior molded doors directly from the defendant manufacturers, alleging the defendants conspired to fix the prices of interior molded doors in violation of the U.S. antitrust laws. The case is pending. In re: Foreign Exchange Benchmark Rates Antitrust Litigation, No. 1:13-cv-7789-LGS (S.D.N.Y.). BZS represents the City of Philadelphia Board of Pensions and Retirement in this class action against sixteen of the world’s largest banks. The plaintiffs in this matter allege collusion in the roughly $5 trillion-a-day foreign exchange market (FX), including a conspiracy to rig key FX financial benchmarks such as the WM/Reuters Closing Spot Rates, through the use of chat rooms and other means. As of early 2018, partial settlements totaling more than $2.3 billion are pending court approval. In re: Domestic Drywall Antitrust Litigation, MDL No. 2437 (E.D. Pa.). BZS represents a building materials supply co. in this class action against the nation’s leading manufacturers of drywall. The plaintiffs allege that the manufacturers engaged in a horizontal conspiracy to restrict product from the United States drywall market, causing artificial increases in the price of drywall. By the end of 2017, settlements have been reached with all defendants for $190.7 million. The settlements are awaiting final court approval. In re: OSB Antitrust Litigation, Master File No. 06-826 (E.D. Pa.). The firm was on the Plaintiffs’ Steering Committee in this class action against the manufacturers of oriented strand board. The plaintiffs alleged a horizontal pricing fixing conspiracy, causing direct purchasers of OSB to pay artificially inflated prices for this home and commercial building product. The case settled for $120 million. In these class action lawsuits, BZS represented consumers challenging the National Hockey League’s and Major League Baseball’s broadcast practices, alleging that the leagues divided broadcast markets into exclusive territories in order to protect each team’s television partner from competition. In 2015 and 2016, settlements were reached that created more consumer choice and lowered prices for certain baseball and hockey television packages. The MLB settlement, with benefits to the class estimated to be worth $200 million, was reached shortly before trial. In re: Payment Card Interchange Fee and Merchant Discount Antitrust Litigation, MDL No. 1720 (E.D.N.Y.). BZS is on the Plaintiffs’ Executive Committee in this massive class action against the Visa and MasterCard credit card networks and their member banks. The putative class of merchants allege that the payment card networks and their member banks conspired in violation of the antitrust laws to artificially raise "interchange fees," i.e., a fee merchants pay on each transaction made with a payment card. The case is pending. In re: Generic Pharmaceuticals Pricing Antitrust Litigation, MDL 2724, 16-MD-2724 (E.D. Pa.). BZS serves as counsel for the putative end-payer plaintiff class in this pending litigation. Plaintiffs allege a far-reaching conspiracy among generic drug manufacturers to reduce competition and fix prices for a number of generic drugs. In re: Rail Freight Fuel Surcharge Antitrust Litigation, MDL No. 1869 (D. D.C.). The firm is one of the plaintiffs’ counsel in this class action lawsuit brought against the four largest railroad freight companies in the United States. This litigation alleges that BNSF Railway Company, CSX Transportation, Inc., Norfolk Southern Railway Company, and Union Pacific Railroad Company violated the Sherman Act by fixing the levels of rail freight fuel surcharges. The case is pending. In re: Steel Antitrust Litigation, No. 08-cv-5214 (N.D. Ill.). In this antitrust action, brought on behalf of a nationwide class of steel purchasers alleging the defendants conspired to inflate the market price for steel, BZS represented the direct purchaser plaintiffs. The case settled for $193.9 million. In re: Urethane (Polyether Polyols) Antitrust Litigation, MDL No. 1616 (D. Kan.). We represented the plaintiffs in this price-fixing class action. 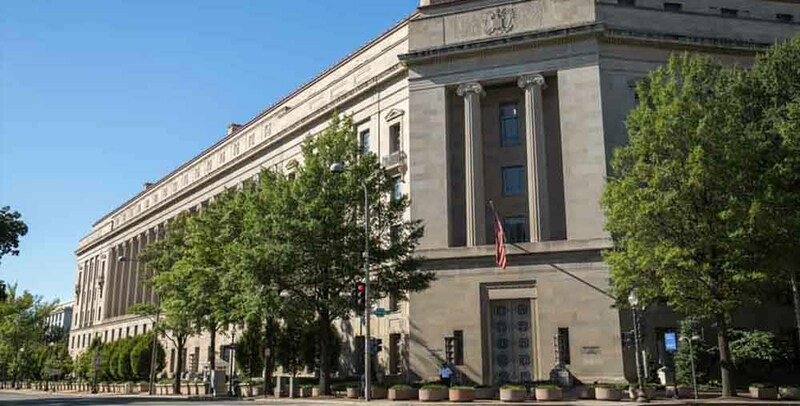 The plaintiffs alleged that the defendant chemical manufacturers conspired to fix, raise, maintain, or stabilize the prices of polyether polyols and polyether polyol products in violation of federal antitrust law. BZS attorneys participated in discovery, briefing, and trial preparation on behalf of the class. After a four week trial, the jury returned a verdict for the plaintiff class in excess of $400 million against the sole remaining defendant, The Dow Chemical Company. Following post-trial briefing, the Court entered judgment for $1.06 billion after trebling, which is believed to be the largest price-fixing verdict ever. While on appeal to the United States Supreme Court, the plaintiffs reached an agreement to settle the case against Dow for $835 million, bringing the total amount of the settlements to $974 million.